Living in a small space forces one to ask a lot of questions before acquiring more possessions, according to Sonya Connelly. Connelly is among a group of people who have taken to tiny house living and hope to establish a tiny house village in southern Maine. Sonya Connelly moved to Maine from New York City to live tiny. 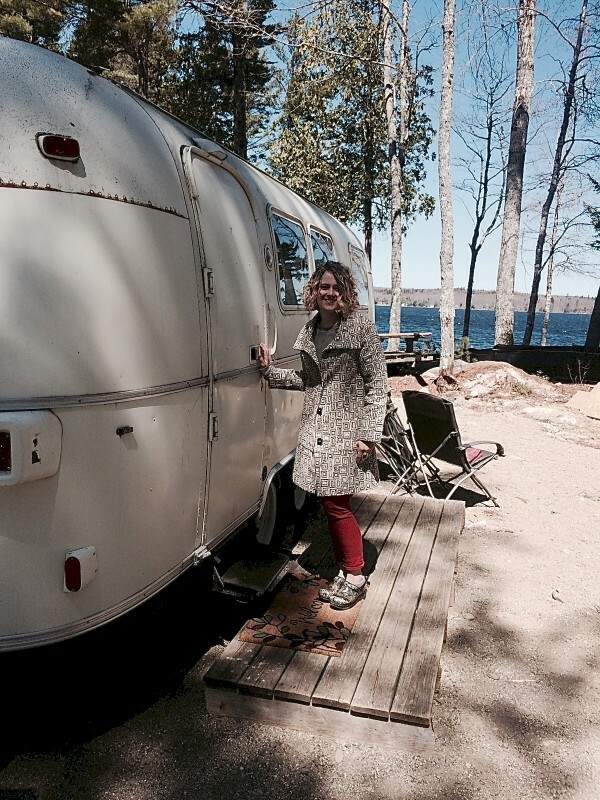 The 44-year-old said downsizing and living in a vintage Airstream is allowing her financial freedom she never had when renting in larger cities. Alan Plummer has some big plans for tiny houses in Maine, combining elements of a planned community with 1960s-style communal living. Plummer, the Maine representative to the American Tiny House Association, is building his own tiny house on a small piece of land in Manchester. The next step, if all goes according to plan, is finding and purchasing a larger plot of land for what he envisions as a sort of startup community for others interested in the tiny house lifestyle. There is no legal definition of a tiny house, but a residential structure under 500 square feet is generally accepted to be a tiny home, according to various online groups advocating the simplified lifestyle. Plummer wants to bring them together. Still largely on paper, Plummer’s planned Tiny Soul-ar Eco Village would cover between 10 and 15 acres in southern Maine and be an affordable temporary home for up to 25 people at a time, plus an additional half-dozen or so permanent residents who would assist in building other tiny houses on the property. In a rent-to-own model, Plummer would pre-build several tiny houses on the property. Temporary Eco Village residents would pay $300 per month in rent to live in one of those houses plus additional $500 per month to cover the cost of building their own tiny house in the village. At the end of four years that resident would own the new tiny house. They have the option to extend the lease for an additional year but must move off the land by the end of that period. At the end of four years, a member of Tiny Soul-ar Eco Village would own their own home with about $26,000 in equity — including furnishings — and ready to look for their own plot of land on which to move it. Plummer envisions multiple tiny houses being built at a time in the village with new residents coming in to replace those who move on. That, he said, would make room for the next person looking to get into affordable, tiny house living. It’s that aspect of helping new homeowners that attracts Sonya Connelly to Plummer’s vision. “What really resonates with me and gets me excited about the eco-village is the concept of it being self-sufficient [and] the idea of helping people who could not own traditional homes develop the financial freedom to own their own homes,” Connelly said. Connelly met Plummer last October though social media and said he put her in touch with a tiny home resident in the Ellsworth area. “I was able to visit that tiny home to see if it was something I’d like and could do,” she said. 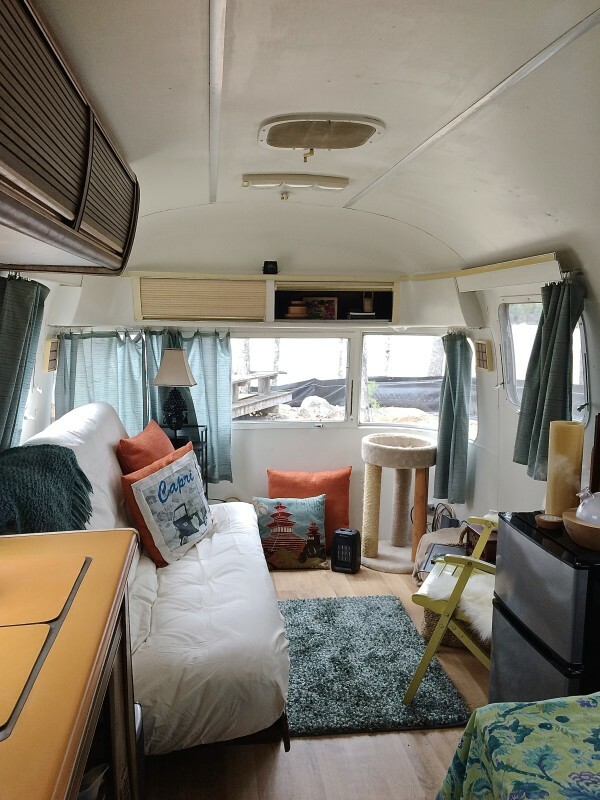 Instead of build her own tiny home, Connelly said she purchased a vintage Airstream travel trailer and is living in it on friend’s land in Ellsworth. She described her pre-tiny living life in New York City as living “a hamster wheel,” working to pay rent with little left over. Helping people find that greater financial freedom through cooperative living is something Connelly wants to be part of in the planned eco-village. Community cooperation, helping each other, shared resources and bartering would all be part of life in Tiny Soul-ar Eco Village, according to Plummer. Established residents also would help newcomers build their own tiny houses, he said. Plummer is fully aware some may view his plan as an attempt to establish a Utopian village and stressed there will be rules by which residents must abide. Plummer envisions an advisory board of residents running the day-to-day operations of Tiny Soul-ar Eco Village with an outside board of directors he will establish as a legal entity to enforce the rules. Plummer may currently lack the land for his village — he is actively looking for an affordable parcel in the southern Maine area — but there is no lack of interest from people looking to start tiny house living. The 53-year-old anesthesia technologist is living in a traditional house but said he is ready to downsize to a tiny house. Plummer has started bringing potential tiny village residents together, at least online with 189 registered members of his MeetUp Group and nearly 200 followers on his Tiny House Peeps of Southern Maine Facebook page. There is also a website devoted to the plan. Plummer said he’s been talking to people for several years, ranging from first-time home buyers to retirees. Plummer’s planned village will be on the utility grid, but residents will be encouraged to build homes that are highly energy efficient. Plummer hopes to take his planned village from the drawing board to reality within the next year or so. “Right now [I’m] just looking for the right piece of affordable land,” he said.